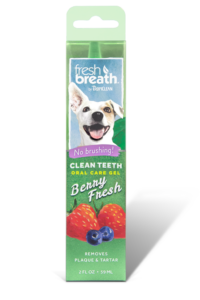 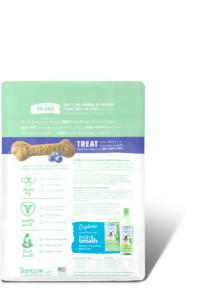 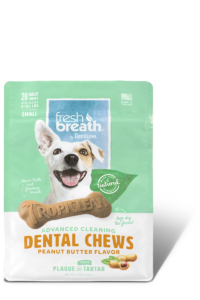 Treat your dog to a healthy mouth with the NEW Fresh Breath by TropiClean Blueberry Flavored Dental Chews. One Fresh Breath Dental Chew daily will help support your dog’s oral health. 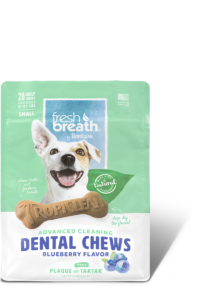 Fresh Breath Dental Chews have a unique chewy texture that simulates brushing with each bite, safely and effectively removing plaque and tartar while helping eliminate bad dog breath. Each delicious Fresh Breath Dental Chew is infused with natural ingredients including TropiClean’s powerful combination of natural minerals, coconut and green tea. 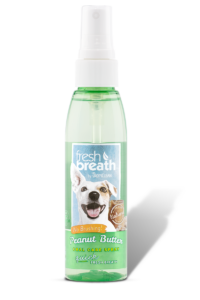 The natural combination turns stinky dog breath into fresh breath. 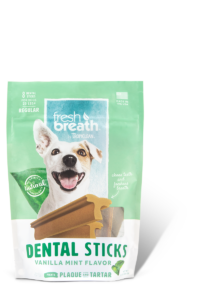 Fresh Breath Dental Chews are gluten and grain free and proudly made in the USA. 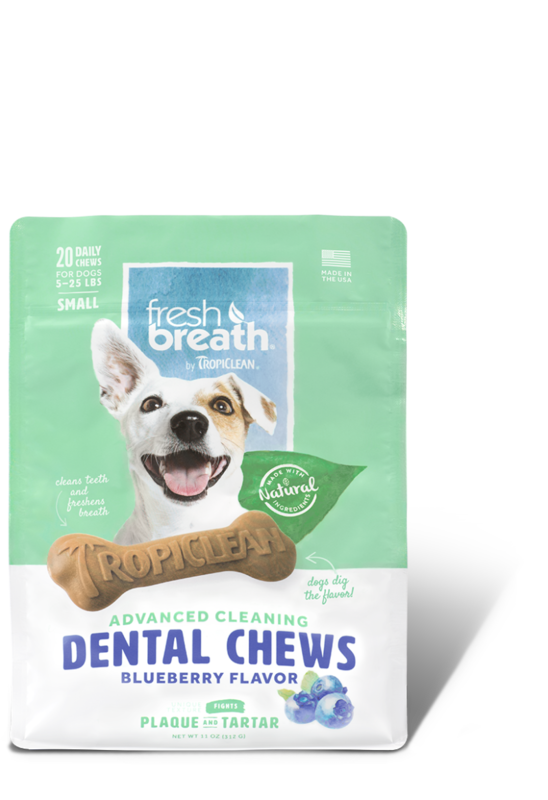 Address the importance of your dog’s oral hygiene with the delicious Fresh Breath by TropiClean Blueberry Flavored Dental Chews. Pea Starch, Glycerin, Powdered Cellulose, Pea Protein, Natural Chicken Flavor, Dried Cultured Skim Milk, Citric Acid (Preservative), Coconut Oil, Canola Oil, Blueberries, Natural Blueberry Flavor, Sodium Hexametaphosphate, Zinc Propionate, Mixed Tocopherols (Preservative), Green Tea Extract, Rosemary Extract.